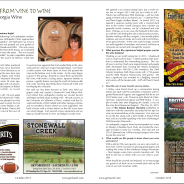 The French roots–both literally and figuratively–of Stonewall Creek Vineyards. Read it here, pages 46-49. 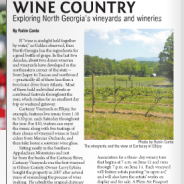 Carla is featured in the “Women of North Georgia” article in the October 2015 issue of Georgia Mountain Laurel. Check out the interviews on pages 28-32. 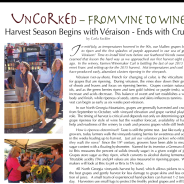 Check out Carla’s “Uncorked” column in the new Mountain Laurel! Pages 57 and 61. 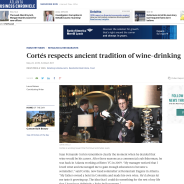 In a May 22 Atlanta Business Chronicle Q&A article, Juan Fernando Cortés, head sommelier at Restaurant Eugene in Atlanta, includes Stonewall Creek Vineyards’ Cabernet Franc and the Cabernet Sauvignon Rosé in his top 5 wine recommendations. Read it here! 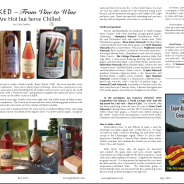 In her July 15 column in Georgia’s Mountain Laurel, Carla Fackler explores the emerging prominence of rosé wines for summer in the North Georgia mountain vineyards. Check it out here! 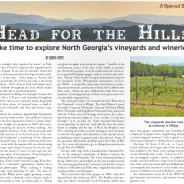 “Head for the Hills” feature focuses on North Georgia wines. Click here and flip to page 48! 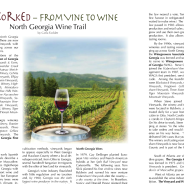 Carla Fackler’s May article in the Georgia Mountain Laurel explores North Georgia’s wineries. 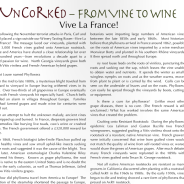 Read more here, flip to pages 60-61! 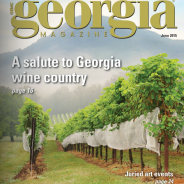 Georgia Magazine Salutes Wine Country! 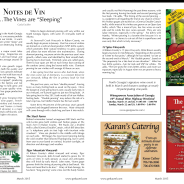 Carla’s “Notes de Vin” in the March 2015 issue of Georgia Mountain Laurel explains dormant pruning while the vines are sleeping. Check it out on page 48-49! Read the issue online here.